Sabra and Shatila, September, 1982, stands as one of the worst single atrocities in modern history. 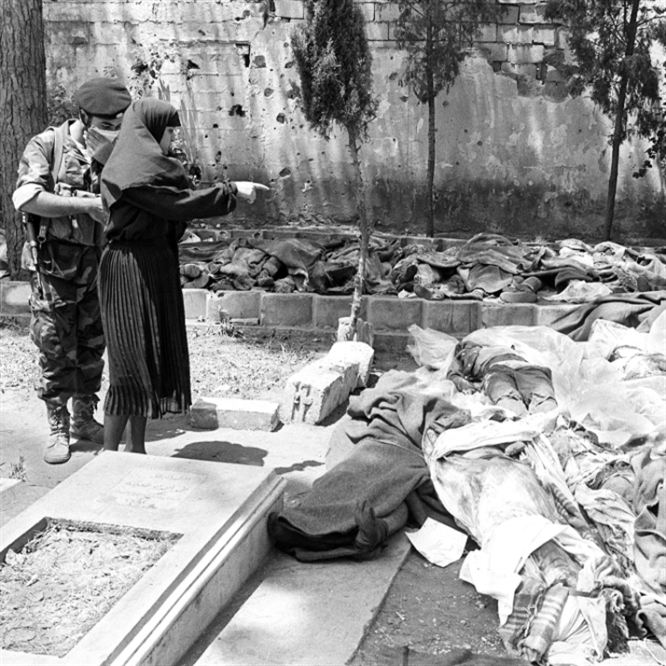 Up to 3500 Palestinians were massacred when Israel’s Falangist proxies surged through the two Beirut camps in September, 1982. Israel sought to dump the blame on to the Falangists. “Goyim kill goyim and they come to blame the Jews,” Israel’s Prime Minister, Menahim Begin, complained. In fact, Israel commanded and controlled the entire operation. The punishment meted out by the Kahan commission of inquiry was derisory. Ariel Sharon, the Israeli ‘defence minister’ was demoted but remained in government, after Begin refused to sack him. Despite his own complicity, Begin was not punished and neither were any of the politicians who had agreed that the camps had to be ‘cleaned out.’ World opinion was outraged, but not even this fearful event was sufficient for Israel to be held to account. Unrestrained, Israel remained free to kill at will. The secret annex to the Kahan commission has recently made its way into the mainstream. (See Rashid Khalidi, ‘The Sabra and Shatila Massacres: New Evidence,’ Palestine Square, Institute of Palestine Studies, September 25, 2018). The basic facts are well established, so the interest lies in what these documents tell us about the interplay between the Israelis and the Falangists, and why, ultimately, Sabra and Shatila had to be invaded. Even before 1948 Israel was setting out to turn Lebanon into a satellite state by playing on the fears of the country’s Maronite Christian community. In 1958 Lebanon endured its second civil war (second to the Druze-Maronite conflict of 1860). This war was part of a regional drama involving anti-Nasserism, anti-communism, the overthrow of the monarchy in Iraq and a planned coup attempt in Jordan. No event in Lebanon is ever simply internal, but while the collective ‘west’ and Israel had a big stake in what happened in 1958, the war developed largely as cause and effect between internal factions. By the time the US intervened, sending the Sixth Fleet and landing marines on Beirut’s beaches, these factions had for the moment resolved their differences. In 1968, against a background of Palestinian resistance from southern Lebanon, Israel destroyed 13 commercial aircraft sitting on the tarmac at Beirut international airport. Lebanon was being warned to control the Palestinians, or else. 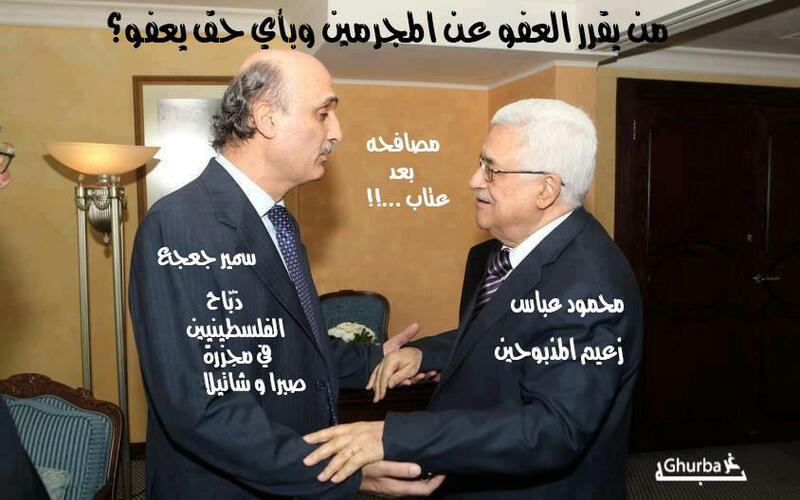 Of course, given its highly factionalized nature, Lebanon could not control the Palestinians. In April, 1973, the Israelis infiltrated West Beirut from the sea and killed four leading Palestinian political and cultural (Kamal Nasser, a poet) figures and by 1975 the country was right on the edge. A drive-by shooting at a Maronite church in East Beirut on April 13 pushed it off. The dead included members of the Kata’ib, the Lebanese Falange, a party founded on the Spanish model in the 1930s. Falangist gunmen struck back, shooting up a bus full of Palestinians and the war was on. As Israel was already involved with the Falangists, as it wanted chaos in Lebanon ending in the defeat of the Palestinians and the destruction of their institutions, the church shooting was very likely a deliberate Israeli provocation. The secret annex to the Kahan commission reveals that by 1975 Israel was holding secret meetings with Falangist leaders, aimed at political and military coordination, towards which end Israel gave the Falangists $118.5 million in military aid (the figure given in the Kahan annex, the true figure possibly being much higher) and trained hundreds of Falangist fighters, in preparation for the war which Israel wanted the Falangists to launch. Israel maintained its relationship with the Falangists through the civil war. By 1982 there was an “alliance in principle,” as described by papers in the Kahan annex. Trained in Israel up to Israeli military standards, however this is understood, Israel was confident that the Falangist tough Bashir Gemayel, the dominant figure in the Christian umbrella group, the Lebanese Forces (LF), had evolved “from the emotional leader of a gang, full of hatred, into a relatively prudent and cautious political leader.” No doubt this was how Bashir presented himself at meetings with the Israelis, but his actions in the past, and in the future, indicate that he was merely concealing the brutality that still lay within. 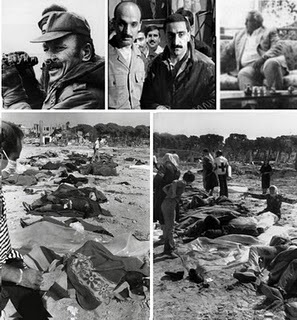 In January, 1976, the LF attacked the slum Karantina port district of Beirut, killing or massacring at least 1000 Palestinian fighters and civilians. In June, the Falangists, along with other LF factions, including the Lebanese Tigers of the Chamoun family and the Guardians of the Cedars, besieged the Tal al Za’atar Palestinian camp. Their military equipment included US tanks and armored cars. The camp held out for 35 days before being overrun. Up to 3000 Palestinian civilians were slaughtered. 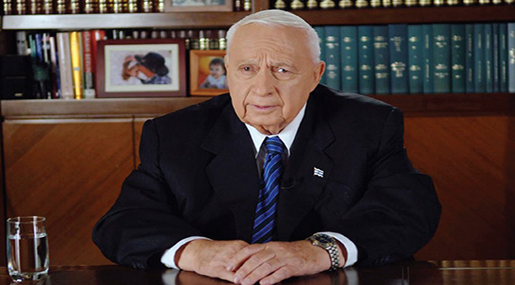 “You [Peres] spoke of the moral image of the government. After Tal al Zaatar, Mr Peres, you have no monopoly on morality. We did not accuse you, you have accused us. The same moral principle which was raised by the Tal al Za’atar incident [sic.] still exists. The Phalangists murdered in Shatila and the Phalangists murdered in Tal Za’atar. The link is a moral one: should we get involved with the Phalangists or not? You supported them and continued to do so after Tal Za’atar. Mr Rabin and Mr Peres, there were no IDF officers in Shatila, the same way they were absent from Tal Za’atar.” What is left unsaid is that Israel had a ‘liaison office’ at Tal al Za’ater even if IDF officers were not inside the camp. The refrain constantly repeated by Israeli intelligence and military personnel in 1982 was that no-one expected the Falangists to behave so badly. They were people of high calibre, people of quality, “men of much higher personal stature than is common among Arabs,” according to the statements made to the Kahan commission. In fact, not just during the long civil war but throughout its invasion of Lebanon in 1982, Israel had abundant evidence of the Falangist capacity for brutality, not just in the massacre of Muslims caught at checkpoints or the Druze in the mountains but in the statements of Falangist leaders. 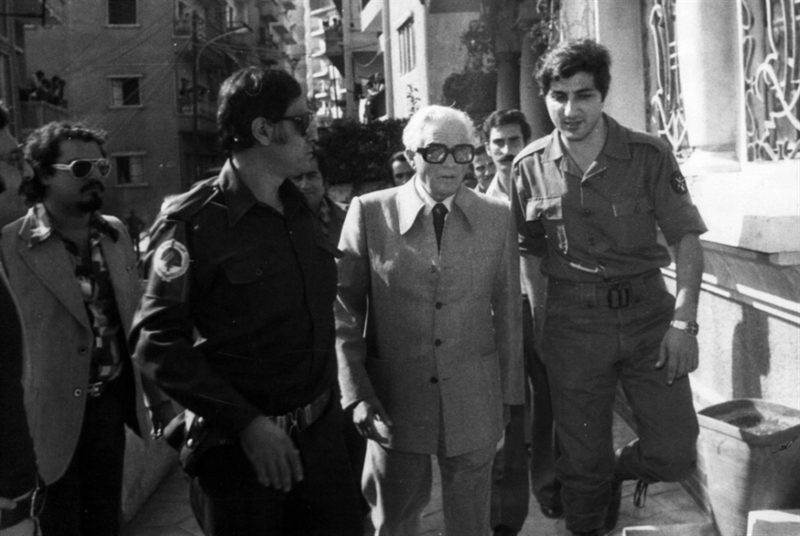 On September 12, two days before he was assassinated, Bashir Gemayel told Sharon that conditions “should be created” which would result in the Palestinians leaving Lebanon. At the same meeting it transpired that the Israelis had evidence that “as a consequence of Elie Hobeika’s activities” 1200 people had “disappeared.” Hobeika, a senior and extremely brutal Falangist figure, implicated in the CIA attempt in 1985 to assassinate the Shia spiritual leader, Shaikh Muhammad Hussain Fadlallah, was assassinated in 2002 shortly after he announced he was ready to give evidence in a Belgian court about Sharon’s role in the Sabra-Shatila massacres. His car was blown up, his head landing on the balcony of a nearby apartment. An IDF colonel gave evidence to the Kahan commission that it was “possible to surmise from contacts with Phalange leaders” what their intentions were. If Sabra would become a zoo, Shatila’s destiny was to be a parking lot. The violence during the Israeli onslaught on Lebanon ran from the Falangists at one end of the spectrum to the extreme violence of Ariel Sharon, including massacres of civilians in Gaza and the West Bank, at the other end. The two extremes met in the middle at Sabra and Shatila and the outcome was predictably catastrophic. What must be reaffirmed is that the “cleaning” or “combing” out of Sabra and Shatila was planned, coordinated and commanded by the Israeli military. It was not a Falangist operation with Israel playing some loose supervisory role. It was an Israel operation, involving the intelligence agencies and approved by the Israeli government. The Falangists were trained and armed by Israel and the LF commanders were “totally subservient” to the commander of the Israeli force sent to the camps, the 96th division. The Falangists were told when to enter the camps and when to leave. The Israelis lit up the camps at night with flares so the Falangists could see what they were doing (or who they were killing) and they stood ready to provide medical assistance to wounded men and intervene if they got into trouble. Israel had agreed in negotiations with the Americans not to enter West Beirut. The assassination of Bashir Gemayel on September 14 precipitated the invasion of West Beirut the following day, the seizure of key positions and the encirclement of Sabra and Shatila according to a well-prepared plan. The Falangists entered the camps in the early evening of September 16, on Israeli orders, and did not withdraw until September 18, again on Israeli orders. 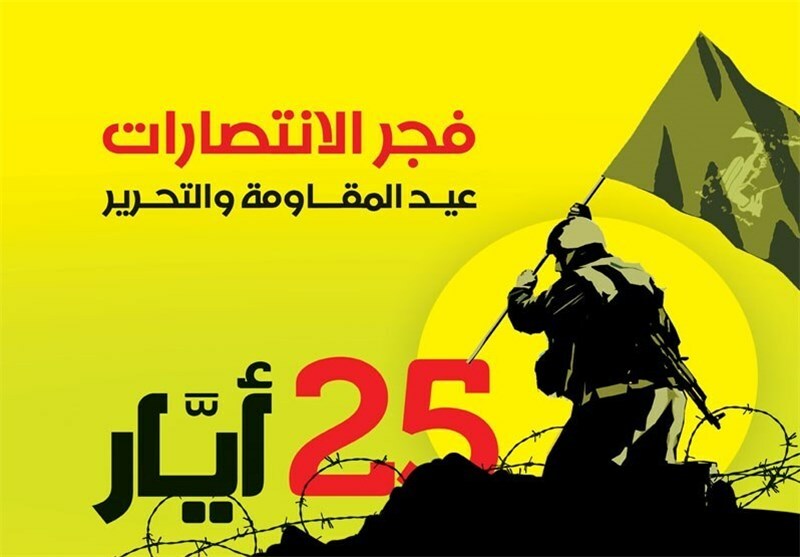 There were no “terrorists” in the camps, let alone the 2500 Sharon claimed had been left behind after the PLO withdrawal from Beirut in August. There were only civilians and there was no armed resistance from them. The Falangists did their work silently, mostly with knives so that the next victim would not be aware of the fate of the one before him (or her – many of the dead were women and children and even the camp animals were butchered) until it was too late. The Falangist liaison office was established in the headquarters of the 96th Israeli division, where eavesdropping yielded unspecified “important evidence,” according to the Kahan commission annex. Professional electronic tapping of the Falangist communications network inside the camps was maintained in addition to “improvised” tapping of the conversations inside the HQ of the 96th division. According to the Kahan commission’s annex, the Falangist liaison officer reported “abnormal occurrences” in the camps to several officers only a few hours after the Falangists entered them. Clearly, statements by intelligence and military personnel that they did not know what was going, or that they did not know until it was too late cannot be taken at face value. There was no gunfire from the camps and no resistance as would have been expected from armed “terrorists.” In this deathly silence, with no bursts of gunfire, and not the slightest sign or sound of armed combat, did the Israelis really think the Falangists were only killing armed men? Furthermore, Sharon had made it clear that he wanted to break up all the Palestinian camps and disperse their inhabitants. A cruel and brutal figure, he was perfectly capable of doing it. What could be better calculated to drive Palestinian civilians everywhere into panicked flight than an even more monstrous Deir Yassin? There may be a lot more evidence about this, textual and graphic, that has not made its way even into the secret annex. This remorseless liar claimed that there were no civilians in the camps. “I want you to know that Burj al Barajneh and its vicinity and the area of Shatila and similar places are ghost towns” he insisted, according to the Kahan annex. In August, as the aerial and land bombardment of Beirut approached its peak, he told the Cabinet that “we are not striking at the area where the Sunni Lebanese population resides.” On August 18 he lied again: “Today there is no-one living in the refugee camps. Only terrorists remain in the refugee camps. That is where their positions remain, in the refugee camps. That is where their positions, bunkers and HQs were located, and all the civilians had fled.” In fact, the camps were packed with civilians who had nowhere else to go, while in West Beirut, thousands of Sunni Muslims, Christians, and anyone who was living there, were being killed in air strikes. At the same time Sharon had the extraordinary gall to present himself as some kind of saviour of the civilian population. After entering West Beirut he remarked that “in reality we are not looking for anybody’s praise but if praise is due, then it’s ours as we saved Beirut from total anarchy. On September 21, a few days after the Sabra and Shatila massacres, he told the Cabinet that “We prevented a bloodbath.” In fact, the invasion had been a bloodbath from the beginning. By the end of the year about 19,000 people had been killed, almost all of them Palestinian or Lebanese civilians. Two issues take up numerous pages in the Kahan report annex. One is the speed with which the Israeli army moved into West Beirut after the assassination of Bashir Gemayel. The reason was that the assassination “threatened to bring down the entire political structure and undermine the military plan years in preparation over long months.” Having promised full support, Bashar had ultimately refused to send the Falangists into West Beirut and with this commanding figure dead, the Israelis feared that their invasion was going to fail at the critical moment. With no-one to stop them, Sharon’s imaginary “terrorists” would be free to rebuild their infrastructure. The deployment of the Falangists instead caused “great relief” to the military: the “supreme value” governing the decision was the desire not to cause IDF casualties. So, Israel’s proxies were sent in to do the dirty work instead. On December 14, Bashar’s successor, and milder brother, Amin, asked Israel to stop all contact with Lebanon, saying that he intended to announce at the UN that Lebanon was occupied by Israel. Like Bashir, he knew he had to respect the Lebanese consensus. By the end of 1982 what Israel had comprehensively demonstrated was that it simply did not understand Lebanon. All it had was brute force. The invasion certainly succeeded in changing the geo-political strategic situation, but not to Israel’s advantage. Yes, the PLO went, but only for Hizbullah to take its place. By 2000 Hizbullah had driven Israel out of the occupied south, in 2006 it frustrated Israel again and by 2018 it had missiles that will cause unprecedented damage if Israel goes to war again. The country Israel regarded as the weakest link in the Arab chain had turned out to be one of the toughest. Introduction by GA: I wrote the following book review a decade ago. 10 years later, Israel and its subservient English Speaking Empire are still mounting pressure on Iran, the Middle East is bleeding and peace looks like a remote fantasy. Pre TSD is the medium in which we operate and a prospect of a better future seems like a delusional dream. A decade ago I concluded this review wiring that “the current plot isn’t just against America. It is a plot against humanity and human dignity.” Sadly, nothing really changed. …Roth is no doubt an astonishing writer but somehow he has always failed to convince me. I always had the feeling that Roth is just too aware of his enormous talent; something that made him slightly technical and pretentious at times. Being a prolific writer, Roth can be slightly impersonal to my taste and yet, in his latest book he is free from that. No literary imposed tactics or strategies can be traced. In his latest book, Roth is overwhelmingly personal. Astonishingly enough, the fictional reality he conveys is so convincing that I found myself totally captivated from beginning to end. So enthralled was I, that I even managed to forget how depressing the world is out there. I avoided the anti-Iranian media blitz. I switched it off for three days and let the international community attack the Iranian president in a single Judeified voice. Roth is sketching a very deep and complex narrative in which each family member responds differently to the ‘devastating’ historical circumstances. Once again, Roth managed to convey an interesting image of the difficult amalgam of the Jewish identity both psychologically and sociologically. Like most American Jews, Herman the father is overtly pessimistic from the very beginning. He wouldn’t give Lindbergh even a single day of mercy. However, he is a proud patriotic American. He demands his civil rights. Were he in our midst, he would criticise the emerging catastrophic reality applying to the American liberal ideology. The mother Bess is far more practical, she tries to maintain the family’s sanity, behaving as if life must go on. More than anything else, she must calm down her righteous husband. Phil’s brother Sandy is a gifted painter and assumes a very interesting role. In the summer he disappears for an “apprenticeship” with a tobacco farmer in Kentucky. In a way he makes it into the heart of America. Later he is joining a new assimilation scheme by encouraging Jewish city boys to follow his example. This program is put together by Rabbi Bengelsdorf, the devoted supporter of Lindbergh. Sandy is doing very well, eventually he is invited to a reception at the White House. This is obviously far more than Herman can take. For Herman, the democratically elected American president is nothing but an enemy of the Jews and he refuses to give his son permission to go to Washington. The tension between family members threatens the stability of the family itself, which is on the brink of falling apart. However, all that time, America has been kept out of the war. American boys aren’t dying in a far away country. American people are very happy but somehow the Jewish Americans aren’t. By the time I put Roth’s book down, the storm around the Iranian president subsided somehow. The Jewish world and the Jewish state had another great victory to be cheerful about. The UN’s General Assembly has passed a resolution designating 27 January as the annual ‘Holocaust Memorial Day’ throughout the world. هكذا دورات التاريخ، من حدث الموت يكون نبت الحياة، ربما تصحّ لنا قراءة مذبحة صبرا وشاتيلا بهذه الأداة التي ابتكرها الإنسان الفلسطيني لفهم الحياة وإنجاز الاستمرار وتخليد فلسطينيته بالعمل والإنتاج. لكن القناع الآخر المختلف للبشرية، أيّ القتل، قد واكب الجوهر الحقيقي للبشرية – وجه الإنسان – وبينهما كان وسيبقى التناقض، ولعلّ الفاشية اللبنانية، الكتائب ولفيفها، والصهيونية والسلطة الأميركية، خاصة المحافظين الجدد، هم التعبير الحقيقي عن القناع، في مواجهة وجه التاريخ. 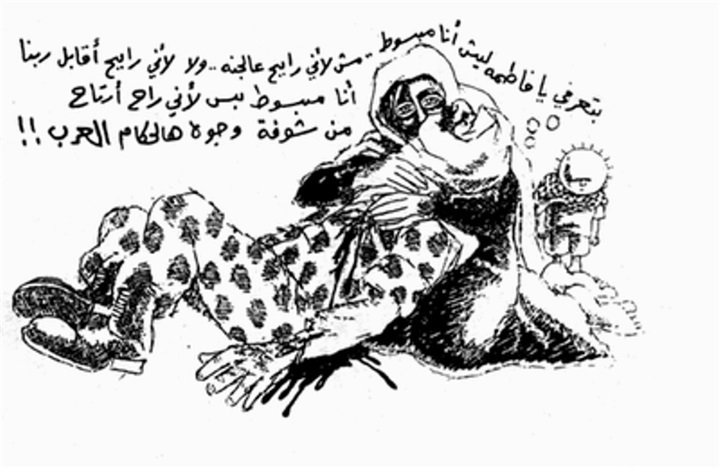 شعبنا الفلسطيني وأحرار لبنان ومختلف الأمم، التي تعرّضت للمذبحة الممتدّة على مرّ تاريخ البشرية، وكانت مذبحة صبرا وشاتيلا المذبحة الشاهد الأشدّ وحشية على امتداد المذبحة ضدّ فلسطين، من دير ياسين والدوايمة والطنطورة وكفر قاسم والحرم الإبراهيمي، إلى العديد العديد، وهي التأسيس للفوضى الخلاقة في ثوب القاعدة وداعش والوهابية بالطبع، حيث فتح الوحش الغربي فكّيْه لتبيّن أنيابه الداعشية وتنغرس في بدن الأمة. في صبرا وشاتيلا وقف الطفل الفلسطيني الأعزل والمرأة والشيخ، بين فيض دموع ترحيل الفدائيين، غيلة وغدراً ومساومة، وبين سكين شارون وعملائه، الممتدّة بطول المكان من البنتاغون وحتى الكنيست! ورُوي للأجيال اللاحقة عن كثير من الكذب، حول التعاطف والعواطف! لم يبكِ على الفلسطيني أحد! الا أهلُه في الدم والإنسانية الصافية، فأيّ مشهد عجيب هذا؟ قبل المذبحة ويوم المذبحة وحتى اللحظة، مطلوب رأسك أيها الفلسطيني، لأنّ المطلوب أرضك! حتى اليوم بل اليوم، وهذا الأهمّ، يرتجف الصهيوني أمام هول المقاومة، فيأتيه الوهابي راكعاً طائعاً متطوّعاً، ليغدر بالقديس الذي نبت على أرض المذبحة! غادرت المقاومة، وحبلت الأرض بالمقاومة، وجاء الجديد أعلى وأشدّ عزيمة من القديم، ولم يتغيّر شيء، لا يزال جعجع يبكي شارون، ويستورد أدواته للقتل، وقد اندمج كلاهما في شخص واحد، وحين لا تقوى يده النجسة على فعل القتل المباشر، يلجأ للغدر! الفاشي لا يتعايش، بل يركع للقوة والحذر والوعي، يطعن في الإعلام المريض لأنه لا يقوى، وحين يقوى سيقتل، وبين كونه لا يقوى وحتى يقوى يلدغ، ولا بدّ أن يغدُر. المجد للدم الفلسطيني الذي لن تشربه الأرض! The music is by Franz Schubert, sung by Dolores O’Riordan, while the images are from the film The Passion of the Christ. Mel Gibson’s controversial movie “The Passion of the Christ,” is breaking box office records across the Middle East. With the approach of Easter, Arab Christians identify primarily with the religious message. But it’s the film’s popularity among Muslims – even though it flouts Islamic taboos – that’s turning it into a phenomenon. Islam forbids the depiction of a prophet, and Koranic verses deny the crucifixion ever occurred. For those reasons, the film is banned in Saudi Arabia, Kuwait, and Bahrain. It’s also banned in Israel – but for other reasons. “Banned in Israel–but for other reasons.” The above is from an article about The Passion that was published in the Christian Science Monitor on April 9, 2004. You’ll notice that the countries which banned the film–Israel, Saudi Arabia, Kuwait and Bahrain–are today all allied with each other in the support of terrorists in Syria…where the film was not banned. “I have no doubt that the film is anti-Semitic both in intent and effect, but I’m very wary of some Jewish organizations’ reactions to it,” said Yossi Klein Halevi, who is identified as being affiliated with the Shalem Center in Jerusalem. Here again, the passage of history is deeply significant. In October of 2004, Arafat came down with a severe illness, and on November 11 he died at a hospital in Paris. There was suspicion the death was not due to natural causes, but it wasn’t until 2013 that a team of Swiss scientists released the results of a months-long investigation showing Arafat most likely had died of polonium poisoning. Many today speculate that Israel was behind the assassination. Ariel Sharon, who himself came to a bad end, was the leader of Israel at the time Arafat was poisoned. The former Israeli prime minister suffered from obesity and weighed 254 pounds, and on January 4, 2006, he was overcome by a hemorrhagic stroke. The last eight years of his life were spent in a coma. Ave Maria, gratia. And if you think about it, you’ll notice another deeply significant sequence of events. Mary’s words that God “helped his servant Israel,” is of course an allusion to the Old Testament narrative. But then came the birth of Jesus; his rejection and the calls for his crucifixion in 30 A.D.; followed by a stupendously stunning Jewish downfall just 40 years later–in 70 A.D.–when the Romans sacked Jerusalem and destroyed the temple. One wonders if a somewhat similar type downfall may await the modern Jewish state. In the most recent revelations of Saudi-“Israel” normalization and alliance, a letter written by Ariel Sharon ten years ago has been revealed as the Saudi Crown Prince in an attempt to wash his hands of barbarity, slammed the entity’s brutal measures in the Occupied Palestine. Though the stain of shame haunts the Saudi regime, its Crown Prince Crown Prince Mohammed bin Nayef addressed the UN General Assembly on Wednesday. In a bid to wash away that taint, the crown prince first excoriated the “Israeli” entity before discussing the situation in Syria, Yemen or Iran. Even more, he disregarded the Syrian crisis and the dire situation in Yemen, which had cost the lives of thousands of innocent civilians by the US-backed Saudi-led aggression on Yemen. Little did he know that by slamming the “Israeli” entity, he would be dooming Riyadh and its ties to the entity! Early in the month, at a ceremony in a museum in the Tel Aviv district of “Or Yehuda”, the “Israeli” entity’s former consul in Boston and ambassador to Egypt, Yitzhak Levan, mentioned Ariel Sharon’s letter to then Saudi King Abdullah. A framed copy of the letter was presented to the Babylonian Jewry Heritage Museum. Levan hailed the letter as an “important historical document,” and proof that the “Israeli” entity worked behind the scenes to move the so-called “peace process” forward. He also said the letter confirms that there were ties with the Saudis. 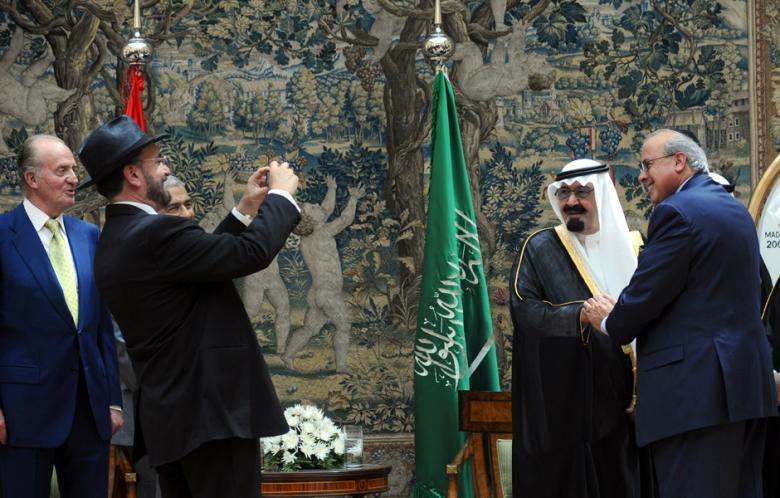 The spirit of those ties, and of reports of a growing but still discreet relationship between Tel Aviv and Riyadh was in no way evident, but the letter shed light on the relation of the two regimes that goes back a long way. “In light of Saudi Arabia’s central status in this region, and your Majesty’s political wisdom and foresight, we believe that your country can make an immense contribution to the success of this [‘peace’] process,” Sharon wrote to the Saudi king in reference to the diplomatic process with the Palestinians. “I offer my hand in friendship and hope to have the opportunity to cooperate and work with you personally to advance our mutual goal of peace. I look forward to receiving your response,” Sharon concluded the letter of friendship. Ariel Sharon wrote these words on November 27, 2005, and had a Jew born in Iraq who lived abroad named Moshe Peretz to deliver the letter to the Saudi King Abdullah, thanks to a good relationship he developed with the king’s brother-in-law. Peretz turned to the “Israeli” Prime Minister’s Office and offered his services in relaying a message to the king. On December 3, 2005, the king’s brother-in law-called Peretz and said the letter was personally delivered.